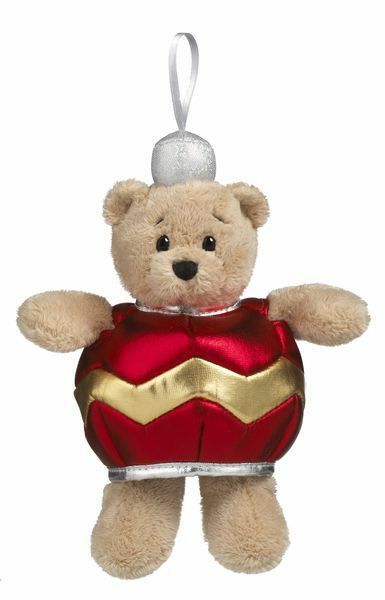 Home > Ganz Wee Bears > Ganz Wee Bears Ornament Christmas Bear 6"
Wee Bears Ornament Christmas Bear 6"
This adorable Ganz Wee Bears Ornament measures approximately 6 inches. This Wee Bear is dressed as a red and gold Christmas ornament. Wee Bears are great for stocking suffers, hostess gifts, holiday decorating and more. The costume is not removable.